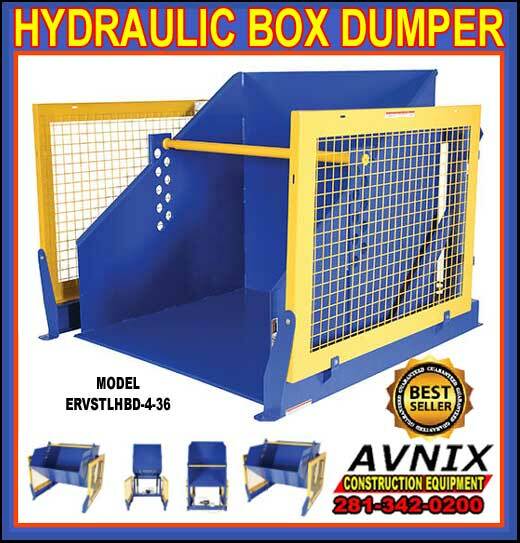 Hydraulic Box Dumper For Sale Factory Direct Guarantees Lowest Price! 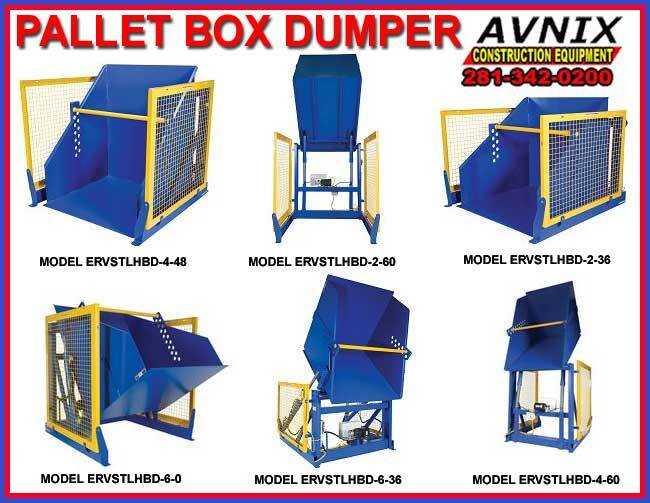 Our hydraulic box dumper is engineered for managed dumping of material from boxes, crates, receptacles, and other types of containers. Lowered height of only ⅜” allows for forklift loading and unloading. Retaining bar adjusts every 2″ to handle a wide range of receptacle heights. Each dump height has a hold down range, see chart. Maximum rotation is 135° yielding a 45 degree dump angle. Box dumper may be paused at any point during the dumping cycle. Chute reach is 10″ when fully rotated. Internal 2HP power unit and hand held control standard (5.5 HP power unit on 6,000 pound models). Safety mesh side screens included. 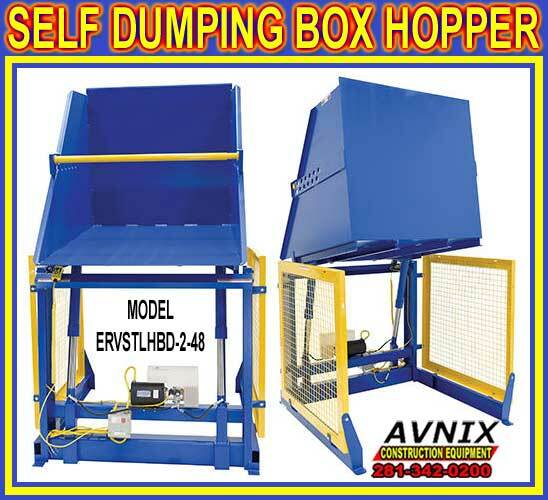 Each hopper has heavy duty welded steel construction. Standard duty cycle equals maximum 15 starts per hour in under normal conditions. Duty cycle is calculated by starts per hour or number of times “up” button is pushed. Jogging (bouncing of the chute) is NOT recommended. Commercial quality, 56 frame, 2 HP motor delivers best torque with minimal amperage draw and maximum life. 24 Volt, fused control circuit to protect workers.